The tradition within English football has always been to value hard work, physicality and determination over skill, technique and flair. It is a conundrum to me that, when football is known as the beautiful game, we prize the ugly aspects of it so highly. People who know me may well be aware I am passionate about football and it has consumed me since I was old enough to stand on one leg and kick a ball with the other. They will also be aware of the fact I don’t support a team, which has allowed me the freedom of objectivity. I have always looked to the beauty and the artistry of the game, where others can look to a sense of belonging, fraternity that comes with the fanaticism of supporting a football club. Having watched his volley against Manchester United in 1979. I spent hours in the garden trying to replicate the volley with both feet in the air. It was a one-two on the edge of the area with Ossie Ardiles, but the ball looped up off the Argentine. Hoddle met it on the full from the angle of the 18-yard box. It is up there with Swan Lake, the Mona Lisa, and Imagine by John Lennon as a perfect example of its own art form. Hoddle is often described as the most naturally gifted player of his generation and yet he only achieved 53 England caps. 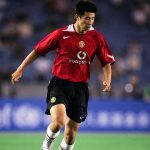 The reason often cited for an international career which never fulfilled its potential is that he was a ‘luxury player’ – a term that fills me with frustration and irritation whenever it is bandied about to describe a player who displays extraordinary technique and skill level. 1. A state of great comfort or elegance. 2. Item which is expensive or difficult to obtain. Now think of all those players who have been described as luxury players and see if their talent and ability, which elevated them above the ordinary, fits with these three descriptions. Hoddle was seen as a player of great elegance. His talent and ability was difficult for most players to obtain and would have been expensive had Tottenham sold him in his prime. 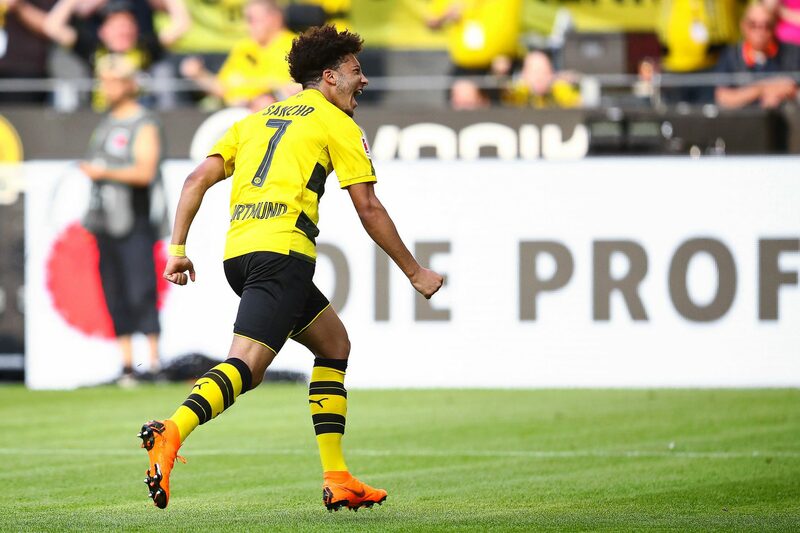 If you are described as a once-in-a-lifetime talent, then you are indeed a player who is a pleasure to watch and only rarely does a player score such wonderful goals. In Italy the same type of player is known as the Fantasista; they are revered in a world of catenaccio where defensive football is a part of the national psyche. Players who can elevate themselves above such an ethos and can thrive in such a rigid system of playing are seen as priceless commodities and ones to be celebrated and cherished. In John Foot’s seminal work on the history of Italian football, Calcio, he dedicates a full chapter to the Fantasisti – defined as “those with fantasy or imagination on the pitch.” There he discusses the importance and contribution from players such as Mario Corso, Gigi Meroni, Roberto Baggio, Francesco Totti and Gianfranco Zola – players renowned for their ability not their physicality. Yet in England, a player who does not run for 90 minutes or throw themselves to the floor to make a last-ditch tackle is seen as a luxury, despite the fact that when the ball is at their feet they can make extraordinary things happen and can turn a game with a single pass or create a goal from nothing. I appreciate there are some players who maybe don’t contribute as much as they could, but there are also players who make the game look ridiculously easy and seem to have all the time in the world. They never seem to be hurried; the game almost goes into slow motion whenever they are in possession. That is a combination of seeing the bigger picture, being able to identify appropriate space on the pitch, and having a touch that instantly brings the ball under control. I’ve been watching and playing football for over40 years and I still cannot understand how certain people within the English populace can differentiate between some players being a luxury and some making the game look easy. Either a player is exceptionally talented or they are not. Hoddle scored on his first full start for Spurs with what would become a trademark strike from distance, past Peter Shilton no less. Though Spurs were relegated in the 1976/77 season, the Tottenham manager Keith Burkinshaw had enough faith in the youngster to build a team around his precocious talent that would see the north London club return to the top flight at the first attempt. Maybe we should look to Burkinshaw as to how to best utilise the luxury player. Burkinshaw believed in Hoddle and knew that his talent and ability would be crucial if Tottenham were to bounce back from relegation. He built a team around the youngster and had him as the fulcrum around which the whole team revolved. His faith and patience in the youngster paid dividends, and Hoddle returned that faith with interest. In the 1979/80 season, Hoddle scored 19 goals in 41 league appearances and, aged just 22, won the PFA Young Player of the Season award (some luxury). Tottenham then went on to win the 1981 and 1982 FA Cup finals. Both games went to replays and Hoddle scored in each, proving he was a big-game player. Hoddle was selected for the England squad to compete in the 1982 World Cup in Spain. England won all three opening group games. Hoddle playing one-and-a-half games after replacing an injured Bryan Robson in the second fixture and starting the third against Kuwait. Hoddle didn’t play a single minute in either game. Instead, the central midfield consisted of Bryan Robson, Manchester United’s inspirational driving force via his skill, effort, determination and work-rate. Alongside him was the playmaker, Ray Wilkins, often known as ‘The Crab’ for his incessant desire to pass the ball sideways. So in a game that required goals, and coming so soon after a game when the press and fans alike identified the only thing missing from this England team was a player who could provide inspiration and enlightenment, why was the Tottenham man kept on the bench? What did Ron Greenwood have to lose, or more importantly fear, by bringing on the only naturally two-footed player in the squad? Hoodle, when inducted into the National Football Museum Hall of Fame, was described as ‘one of the most gifted English footballers of his generation, exhibiting sublime balance and close control, unrivalled passing and vision and extraordinary shooting ability, both from open play and set pieces’. So why wasn’t he appreciated as much when he was still playing? Fast forward to the 1986 World Cup and again England were stifled by the lack of creativity in the first two group games, losing 1-0 to Portugal and drawing 0-0 with Morocco. An injury to Robson and the sending off of Wilkins in the Morocco game allowed England to play with different personnel and freedom to express themselves for the rest of the tournament, winning 3-0 against Poland in the final group game and eating Paraguay by the same scoreline in the second round, before succumbing to the cunning and brilliance of Diego Maradona. 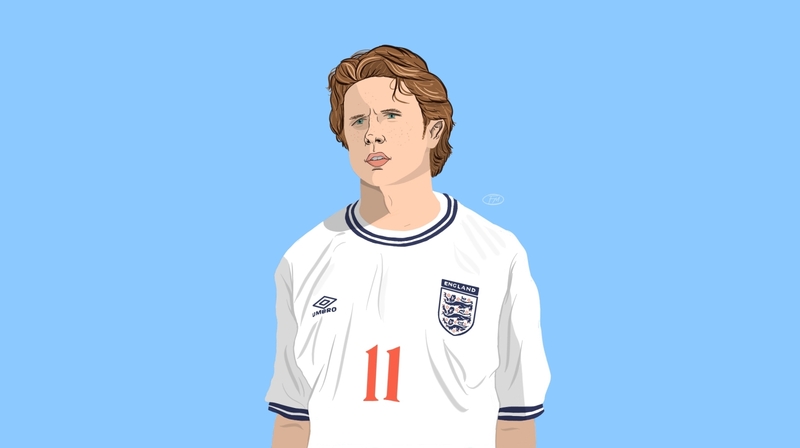 While it is impossible to justify a player’s value to a side based on only a handful of games, what can’t be denied is that in 1982, the latter stages were crying out for a creative player to take England to the next level, and in 1986 once the shackles had been removed, England were a far more dynamic prospect. The policy of safety first has blighted many an England campaign at major championships. Qualification remains a relatively straightforward task against weaker footballing nations. It is when England are playing against other qualified teams in the finals of a tournament that our lack of – or use of – creative talent is exposed. The preference of endeavour over inspiration may be inherent in the English DNA. This seems to be an unfortunate hangover within our psyche from the very origins of the game. Mob football required players to be physically strong and athletic enough to survive what was once a brutal game. As the game became more regulated and codified there were still physical elements such as hacking, which were allowed within the rules. Allied to this was the working-class association with the game. From the early 20th Century and the advent of professionalism, football predominantly became the social domain of the working classes. This included players and spectators, while the middle class preferred to remain amateur and played the game for the enjoyment of the sport and not for money. As with any paid employment, owners or benefactors wanted to see their employees working hard and demonstrating physical endeavour. Football was no different. As working conditions improved so did the increase in disposable income, and football became the sport of choice for workers to spend their wages on. With supporters now paying to watch players represent their town, city or in some instances workplace, there was a responsibility to be seen to show commitment to the cause. Having valued the physical, the endeavour and the commitment almost since the inception of the game, is there any wonder that a player who demonstrated a languid, almost diffident way of playing the game was treated with suspicion? A suitable comparison of attitudes comes from France’s faith in Michel Platini, a player whose career started before Hoddle’s but collided with the Tottenham man at the 1982 and 1986 World Cup finals. Platini had three international tournaments built around his talent and France were rewarded with a European Championship win in 1984 and a World Cup semi-final in 1982. Shirts untucked and socks rolled down, both players played with a style that was easy on the eye, and both had incredible set-piece technique as well as a range of passing which could unlock the tightest of defences. Yet one is placed in that second tier bracket of all-time greats after Pelé, Maradona and Johan Cruyff, while the other is remembered as a player of unfulfilled potential. The real difference? One country was prepared to build a team around their fantasista while the other one considered their player a luxury. Another interesting side note is that Maradona, Platini and Zico all wore the fabled number 10 shirt associated with the position. Hoddle wore the number 10 at Tottenham but for England he wore the number 9 and number 4 shirts during his two World Cups. For skill, technique and flair to flourish it needs to be nurtured, encouraged and, above all else, believed in. Burkinshaw believed in Hoddle and he reaped the rewards. England managers either didn’t want to, didn’t dare to, or were too ingrained in the English traditions of hard work. 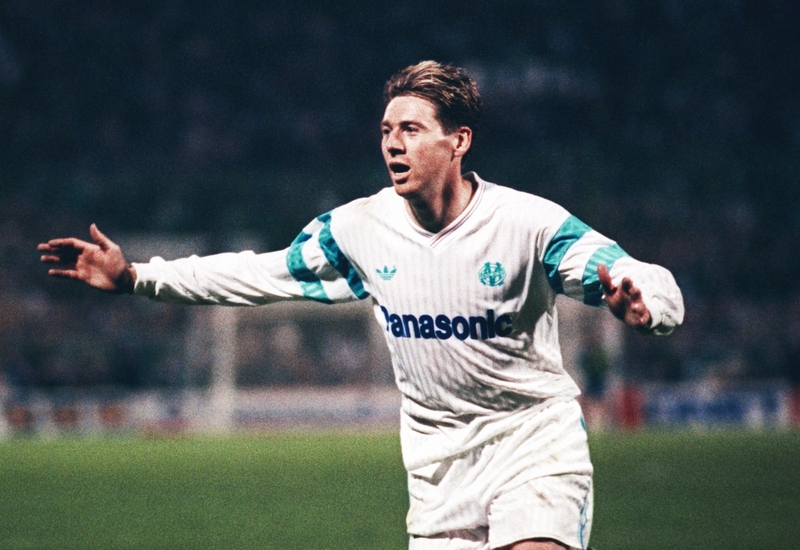 Hoddle is not the only example of the so-called luxury player. Matt Le Tissier was another supremely gifted player who possessed sublime skill, touch and vision. The Southampton player made only eight appearances for his country despite scoring over a hundred Premier League goals from a withdrawn position behind the striker. Again, he was a player perceived as having poor work rate and being a luxury to accommodate, but every neutral fan loved watching him play with the ball at his feet. What is perhaps most telling about the pressure on managers and, in particular international managers, is that Hoddle was the England manager who opted to not select the Saints player for the 1998 World Cup squad. If ever there were kindred spirits in the way the game was played then these two were it. Yet Hoddle opted to ignore the game-changing ability of Le Tissier and instead took David Batty’s combative qualities to France. There is a perception that England doesn’t produce naturally gifted players compared with other countries, but I believe we do. The problem is that it is often coached out of players at a young age, which is when a player’s development is so crucial. Perhaps managers, through fear and mistrust, disregard it, as they have to answer to fans and owners in what is essentially a results-driven business masquerading as an entertainment industry. Chris Waddle, John Barnes, Paul Scholes, Paul Gascoigne and Steve Mcmanaman are just a few examples of players in my lifetime who were wonderfully talented footballers but rarely really received the unwavering faith and support of an international manager willing to invest in a team who played the game with instinct. Every successful team requires a combination of silk and steel; England seem intent on forging teams of steel and more steel. It is no coincidence that fans and pundits are currently falling over themselves to praise N’Golo Kanté. The Chelsea player was recognised for his performances in 2016/17 by his fellow professionals, winning the PFA Player of the Year award. I can appreciate his work rate, I can appreciate the role he plays within the team and that he is probably, at the moment, the best player in the world in that position. Personally, I wouldn’t have looked any further than Eden Hazard. He is the player I want to see on the ball. He is the player I would pay to watch. His solo goal against Arsenal is my abiding memory of that season. But why does England value a player whose work-rate is incredible over a player whose technique and skill is equally incredible, who consistently wins his teams matches? Maybe Dele Alli will be the exception to the rule – another young player who is learning his trade at Tottenham. He’s a midfielder who plays with instinct, is a scorer of important goals and, alongside Harry Kane, has been a model of consistency all season, carrying his club to the Champions League. Maybe Gareth Southgate is the man to be brave enough to go against history and nationalistic DNA and embrace the fantasista. The kid in me really hopes so.